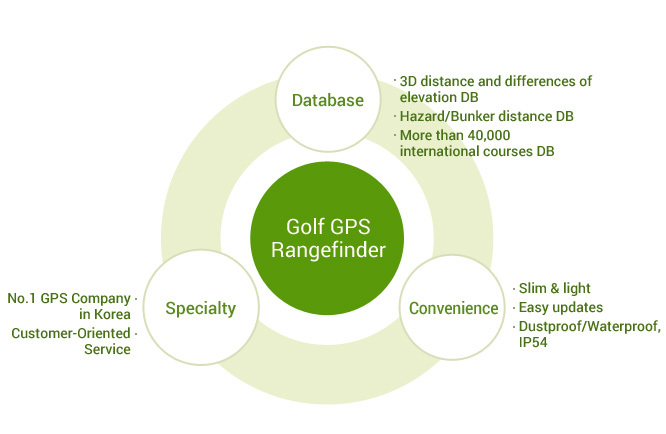 Based on Korea’s No.1 GPS technology recognized in the navigation market, leading the Golf GPS Rangefinder business. Smart 3D Range Information - The world's first 3D GPS golf range finder. Real time green rotation based on the golfer's location. Perfect distance information including front, center and back of the green. Hazard/Bunker Strategy - It's easy to strategize once you know the range and height! Fast with just one touch! Continuous range-measuring with one touch and no hesitation. Extremely simple pin location movement with just one button. Contains over 40,000 worldwide golf courses database. 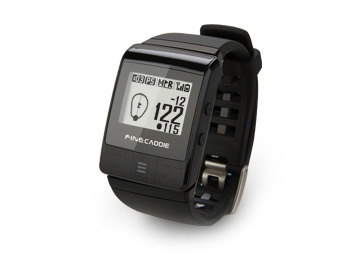 Convenient to wear FineCaddie on your wrist. GPS-artisan FineDrive provides outdoor convenience.